Currently displaying all 15 products in this category. 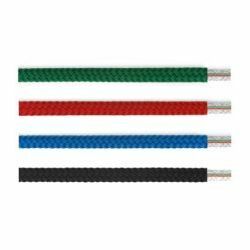 Model Number: Multiple Models Available Samson XLS Solid Color Yacht Braid offers performance-minded cruising sailors a combination of low stretch, high strength and outstanding abrasion resistance. 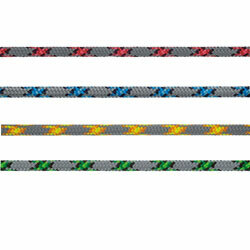 002398 Samson XLS Solid Color Yacht Braid Samson Multiple Models Available Samson XLS Solid Color Yacht Braid offers performance-minded cruising sailors a combination of low stretch, high strength and outstanding abrasion resistance. 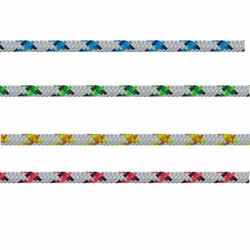 002402 Samson XLS Solid Color Yacht Braid Samson Multiple Models Available Samson XLS Solid Color Yacht Braid offers performance-minded cruising sailors a combination of low stretch, high strength and outstanding abrasion resistance. 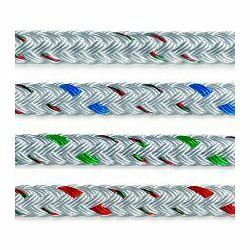 002400 Samson XLS Solid Color Yacht Braid Samson Multiple Models Available Samson XLS Solid Color Yacht Braid offers performance-minded cruising sailors a combination of low stretch, high strength and outstanding abrasion resistance. 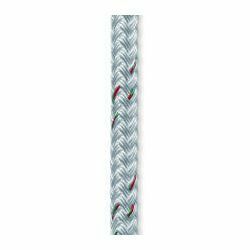 002399 Samson XLS Solid Color Yacht Braid Samson Multiple Models Available Samson XLS Solid Color Yacht Braid offers performance-minded cruising sailors a combination of low stretch, high strength and outstanding abrasion resistance. 013070 Samson XLS3 White with Tracer Samson Multiple Colors Available Cruising sailors who desire optimal performance will appreciate Samson XLS3's low-stretch polyester construction, smooth rendering, and long life of the cover over a polyester core. 013071 Samson XLS3 White with Tracer Samson Multiple Colors Available Cruising sailors who desire optimal performance will appreciate Samson XLS3's low-stretch polyester construction, smooth rendering, and long life of the cover over a polyester core. 013068 Samson XLS3 White with Tracer Samson Multiple Colors Available Cruising sailors who desire optimal performance will appreciate Samson XLS3's low-stretch polyester construction, smooth rendering, and long life of the cover over a polyester core. 013069 Samson XLS3 White with Tracer Samson Multiple Colors Available Cruising sailors who desire optimal performance will appreciate Samson XLS3's low-stretch polyester construction, smooth rendering, and long life of the cover over a polyester core. Model Number: Multiple Models Available Samson XLS Yacht Braid offers performance-minded cruising sailors a combination of low stretch, high strength and outstanding abrasion resistance. 002530 Samson XLS Yacht Braid Samson Multiple Models Available Samson XLS Yacht Braid offers performance-minded cruising sailors a combination of low stretch, high strength and outstanding abrasion resistance. 002391 Samson XLS Yacht Braid Samson Multiple Models Available Samson XLS Yacht Braid offers performance-minded cruising sailors a combination of low stretch, high strength and outstanding abrasion resistance. Model Number: 455040005030 Samson XLS Yacht Braid offers performance-minded cruising sailors a combination of low stretch, high strength and outstanding abrasion resistance. 002521 Samson XLS Yacht Braid Samson 455040005030 Samson XLS Yacht Braid offers performance-minded cruising sailors a combination of low stretch, high strength and outstanding abrasion resistance. 002392 Samson XLS Yacht Braid Samson Multiple Models Available Samson XLS Yacht Braid offers performance-minded cruising sailors a combination of low stretch, high strength and outstanding abrasion resistance. 002520 Samson XLS Yacht Braid Samson Multiple Models Available Samson XLS Yacht Braid offers performance-minded cruising sailors a combination of low stretch, high strength and outstanding abrasion resistance. Model Number: 455036005030 Samson XLS Yacht Braid offers performance-minded cruising sailors a combination of low stretch, high strength and outstanding abrasion resistance. 002316 Samson XLS Yacht Braid Samson 455036005030 Samson XLS Yacht Braid offers performance-minded cruising sailors a combination of low stretch, high strength and outstanding abrasion resistance.